This is ATLAS, one of the major particle detectors for CERN's Large Hadron Collider being constructed underground in the Swiss Alps. The eight toroidal coils you see form the largest superconducting magnet ever built. Called affectionately as The Machine, it will become fully operational in November 2007. And when it does, Wired tells us, physicist will try to answer some of the most puzzling questions about the workings of the cosmos. Why do things have mass? What is dark matter, that unknown stuff that makes up 96% of the Universe? And why is there more matter than antimatter? And barring the creation of micro black holes, strangelets, and magnetic monopoles, all of which could trigger the destruction of the earth, even the entire universe, scientists would also want to find out why gravity is such a weak force. More intriguingly, they will try seek out evidence for the existence of extra dimensions. In other words, nothing less than the fundamental construct of Nature and the landscape architecture of reality. Admittedly, we're curious to know if all those scientists — all 1800 of them from 165 universities and laboratories representing 35 countries — may also want to find out if the Barrel Toroid can levitate a tree. A grove of exiled palm trees magnetically deterrestrialized. And after you push a few buttons, flick one or two switches and drain Europe of all of its electricity, your floating garden then goes on an endless subterranean ringed journey. It's the new $12 billion dollar theme park. Or The Tenth Circle of Hell. Which is reserved for landscape architects. Now 'gin the rueful wailings to be heard. Whirl'd round and dash'd amain with sore annoy. And blasphemies 'gainst the good Power in heaven. 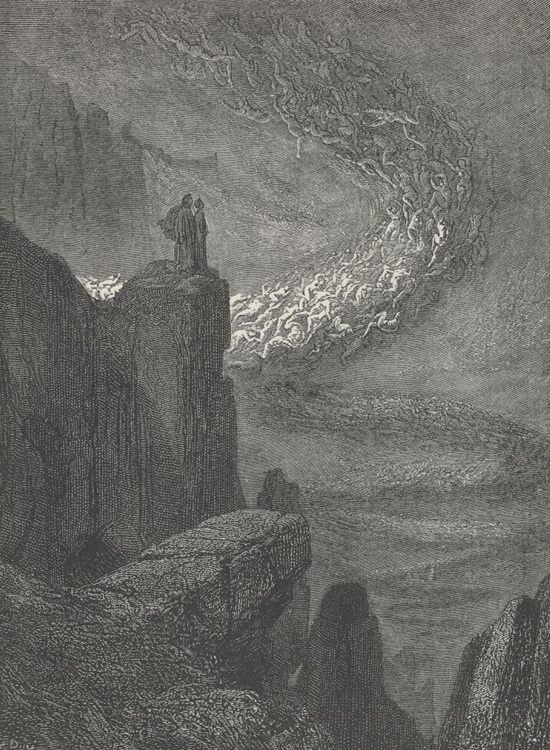 And by blasphemies, Dante meant producing absolutely boring landscape architecture.